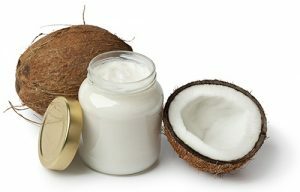 If you are a follower of DIY natural skincare blogs or Pinterest, you may have tried making your own coconut oil sunscreen. 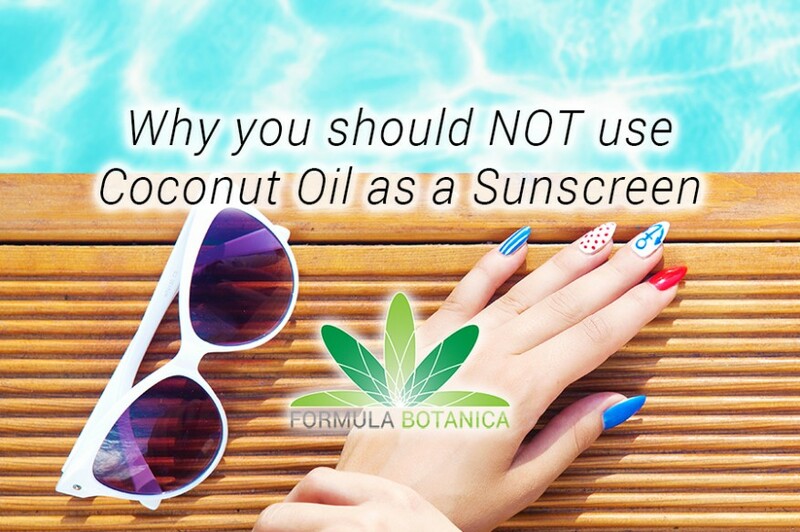 Or you may have seen recommendations and pictures telling you that you can substitute your sunscreen by raspberry seed oil, carrot seed oil, coconut oil, shea butter and many other common and exotic plant oils and extracts. 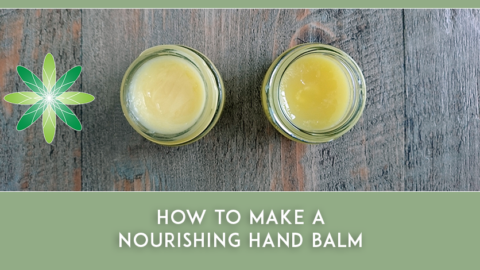 With the huge surge we see in people making their own natural skincare products all around the world, it’s not surprising that the idea of being able to make your own sunscreen products is very tempting. Unfortunately you can’t provide a good evenly distributed verifiable Sun Protection Factor (SPF) with a DIY recipe. In fact, making your own sunscreen is complicated, challenging and expensive. In some parts of the world, products which contain a SPF are viewed as pharmaceuticals (which is why we don’t teach our students how to make sunscreen at Formula Botanica). And even in those parts of the world where they are viewed as cosmetics, they still require rigorous and expensive testing. The Sun Protection Factor (SPF) scale is measured by a sunscreen’s ability to prevent UVB from damaging the skin. If it takes 20 minutes for your unprotected skin to start turning red, then using a SPF 15 sunscreen theoretically prevents reddening 15 times longer – about five hours. Another way to look at it is in terms of percentages: SPF 15 filters out approximately 93 percent of all incoming UVB rays. SPF 30 keeps out 97 percent and SPF 50 keeps out 98 percent. They may seem like negligible differences, but if you are light-sensitive, or have a history of skin cancer, those extra percentages will make a difference. And as you can see, no sunscreen can block all UV rays. But there are problems with the SPF model: First, no sunscreen, regardless of strength, should be expected to stay effective longer than two hours without reapplication. Second, “reddening” of the skin is a reaction to UVB rays alone and tells you little about what UVA damage you may be getting. Plenty of damage can be done without the red flag of sunburn being raised. Researchers in one study (Gause & Chauhan, 2016) found that natural oils are not suitable UV-blocking ingredients. They measured the UV absorptivity of aloe vera, canola oil, citronella oil, coconut oil, olive oil and soya bean oil and found that all of them did virtually nothing when it came to blocking UV. They concluded that their SPF would be very close to 1. This effectively means that these ingredients will do nothing to prevent reddening. 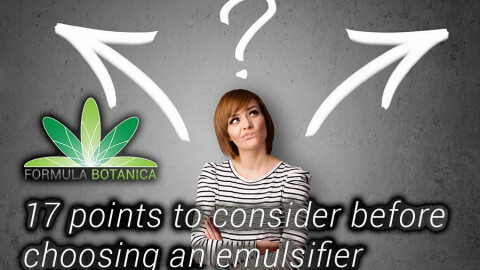 Another study by Kaur & Saraf (2010) found slightly higher values for certain botanical oils, but these were still no higher than 7 at best and 1 at worst. In the Gause & Chauhan study we referenced above, Vitamin E was the only substance which showed appreciable UV absorbance, but this only occurred below a wavelength of 310nm which still allowed most of the UV spectrum to pass through unblocked. Sunlight’s UVB-UVA range is 290-400nm. You start out by deciding what SPF you want to achieve. You then choose the correct SPF blocker in order to get to that level. The sunscreen is then tested in the lab multiple times during the development process to ensure that the SPF is still on track. The sunscreen is then tested on human volunteers who are exposed to a specific amount of sunlight. Their skin reaction is then assessed. The lab then compares these results with their test results to ensure the SPF matches. 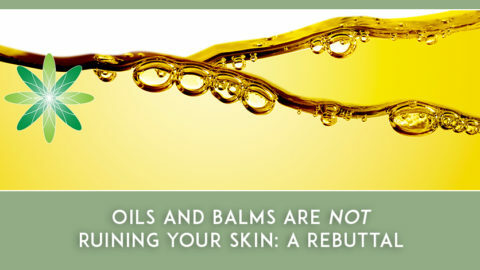 This level of testing has not occurred for any natural oils being sold on their own. If you see a business selling a natural oil with a stated SPF, we encourage you to write to them and ask for their test results. 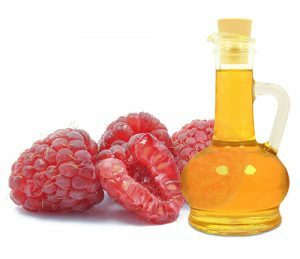 We found a study by Oomah et al., 2000 in the Journal of Food Chemistry which claims that raspberry seed oil has a high SPF. The study makes the bold claim: “The optical transmission of raspberry seed oil, especially in the UV range (290±400 nm) was comparable to that of titanium dioxide preparations with sun protection factor for UVB (SPF) and protection factor for UV–A (PFA) values between 28-50 and 6.75-7.5, respectively (Kobo Products Inc., South Plainfield, NJ)”. The study then does not provide any reference to any studies to underpin this research. You might also notice that there is an enormous range between a SPF of 28 and 50 which suggests that no formal SPF testing has been undertaken on this oil. 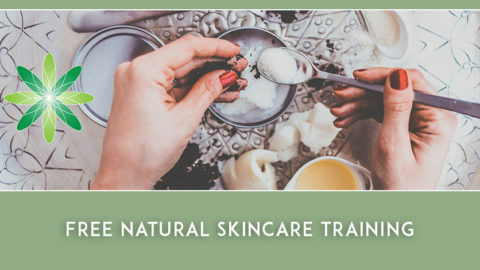 And yet this study has gone round the world multiple times, being quoted on blogs, on DIY skincare courses, on Pinterest and even on skincare ingredient retailers’ websites. We would hazard a guess that the authors of the Oomah study would not have published this throw-away statement if they would have understood the implications of this one sentence. Please do not take this one line as confirmation that raspberry seed oil has any kind of SPF. Similar to raspberry seed oil, some members of the DIY claim that carrot seed oil can have a SPF of 38-40. Our graduate Aleksandra from MASLA Skincare did some digging on Carrot Seed Oil last year on her blog and quoted a strong rebuttal from well-known essential oil expert Robert Tisserand who also verified that carrot seed oil would not have such a high SPF. We found that these figures for carrot seed oil most likely come from a 2009 Indian study where the researchers tested the photostability of a sunscreen product which contained carrot – they did not test carrot by itself. 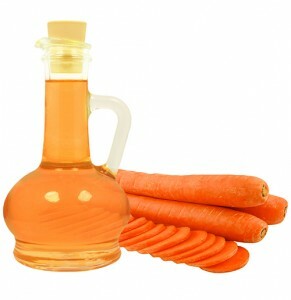 We don’t know in what form the product contained carrot and we also don’t know what the other ingredients were – so it is unlikely that carrot seed oil by itself has a SPF of 38-40. In fact, in some folklore recipes carrot juice and carrot seed oil are used as homemade self-tanning products which accelerate your tan when exposed by the sun. This blogger at Gwen’s Nest did some further sleuthing and determined that the sunscreen most likely tested was the Biotique Bio Carrot SPF 40+ which does not list its full ingredients on the website or on the packaging. It also contains zinc, which is most likely the UV blocking ingredient in the formulation. 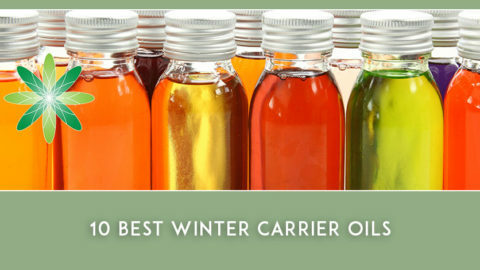 It is important to remember that there are different types of oil products which contain carrot so there is also no clarity on whether this refers to a maceration of carrot in oil, steam distilled carrot seed oil, carrot seed CO2 extract or perhaps even (very rare) cold pressed carrot seed oil. Finally, coconut oil is one of the other most often quoted sunscreen oils in the DIY community. You may see mentions of coconut oil having a SPF of 7, which may give the impression that it’s still possible to use neat coconut oil sunscreen for a short period and be safe in the sun. This 2016 study in the International Journal of Cosmetic Science refutes that and shows that coconut oil has a SPF of 1. Other studies may show slightly higher results and we all know that one study is not necessarily conclusive on its own, but that doesn’t mean you should take any risks with your skin when it comes to the sun. Coconut oil should not be used as a stand-alone sunscreen. 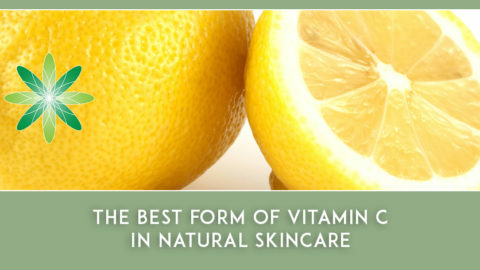 Nonetheless, botanical oils and extracts can play an interesting additional role in any sunscreen. 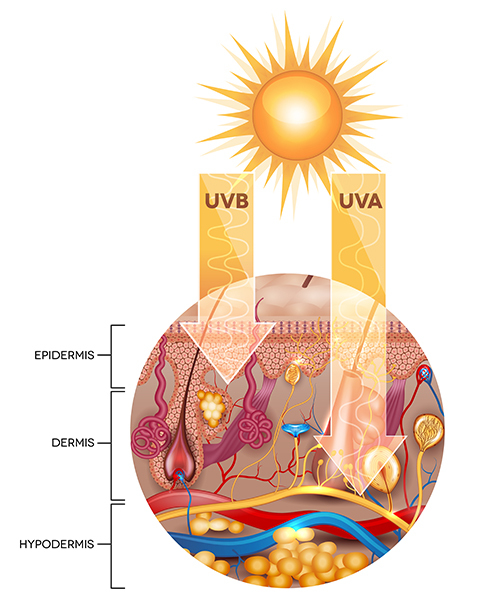 Certain studies (Ramos et al., 1996; Gause & Chauhan, 2016 – and others) have found that some extracts can boost the UV blocking potential of the overall sunscreen formulation. This finding suggests that it’s possible that the total amount of chemical sunscreen agents required in the formulation could be reduced (not replaced) by using UV blocking boosters. But to get to that stage, you will still need to formulate an effective sunscreen with a measurable SPF and you will need to go through extensive in vitro and in vivo testing. Even then you are not guaranteed to achieve the SPF you want – we enjoy this article by Personal Care Truth on the trouble with making your own sunscreen. Working with verified and tested sunblocking ingredients such as zinc oxide and titanium oxide is still complicated and does not guarantee a specific SPF. The efficacy and real SPF of your finished sunscreen not only depends on how much of these ingredients is used in the formulation, but it also depends on how the ingredients are distributed. You cannot use a simple formula of e.g. 30% zinc oxide = SPF 30 because you will nearly always be wrong. This is why each batch of your sunscreen must be tested on humans once the formulation has been verified and gone through each of the elaborate lab testing stages we mentioned above. Here at Formula Botanica, we are huge fans of natural ingredients and we can only wish that it was true that a botanical oil on its own can provide the same level of protection as a formally tested suncare product. It would be great if you really could simply whip up a batch of coconut oil sunscreen and protect your skin adequately. But there are no shortcuts when it comes to formulating suncare products and we strongly encourage you to stay safe in the sun. 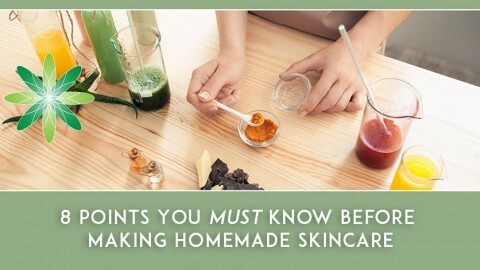 Want to learn how to formulate organic skincare? Formula Botanica’s Diploma in Organic Skincare Formulation is the perfect place to start. Do you already make + sell skincare? Lorraine Dallmeier is a Biologist, Environmental Scientist and the Director of Formula Botanica, the award-winning online organic cosmetic science school. Read more about Lorraine and the Formula Botanica Team. 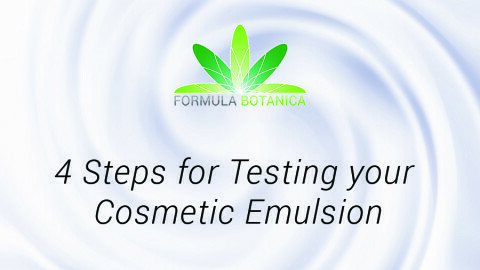 SAMPLE A FORMULATION MASTERCLASS NOW!